What a hectic week I am having. I haven't even had time to garden. And in this rain, I would have loved to plant a rose bush or two. I decided to go ahead and squeeze in a post on the common fear of taking risks and why risk is part of an investor's life. Risk is definitely scary but exaggerated amounts of fear can be paralysing. Everyone needs to have a system to manage their fears, in personal finance and all areas of one's life. We just have to realise that being alive in itself is a risk and its never going to get any better. The investing space requires one to have some appetite for risk. The extremely risk averse take longer to build wealth. Having said that, not all risks are worth taking. 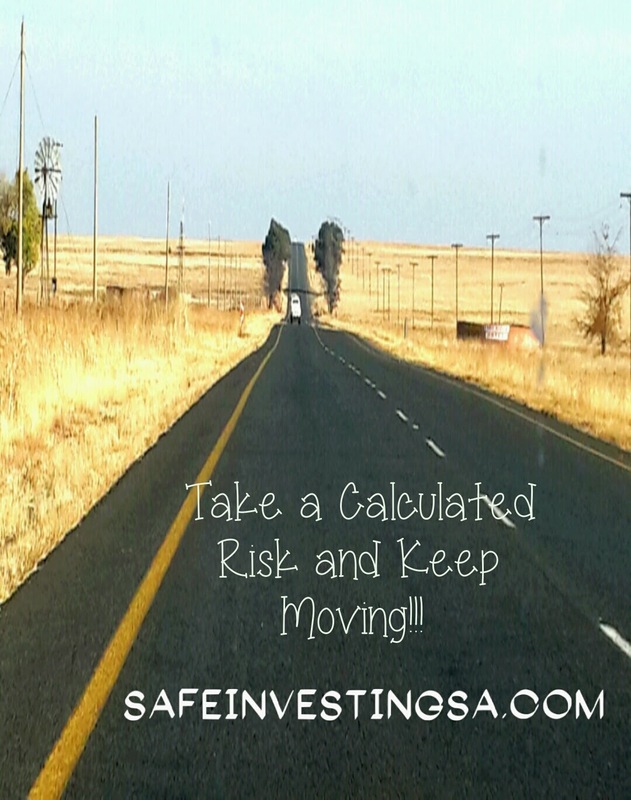 I am a very cautious person, but I take a huge amount of risk when my sums look good. 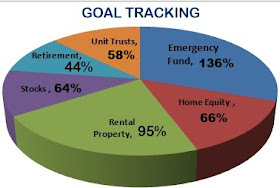 I base my decisions on expected returns with each project or investment I take on. I go through the same calculation every time I acquire a property. Each acquisition should have potential to work hard to up my net worth and monthly income. I naturally start by calculating the expected rate of return on the new acquisition to justify the purchase. Everything is based on assumptions. An element of risk is there but I refuse to let it paralyse me. In the case of shares, I focus on the expected future growth of the company whose units I'm buying; with property, I look at plans for the location of the property, and the basket of stocks in the ETF I'm buying, etc. The decision has to be well informed to reduce the risk and fear thereof. Having looked at the expected return on my investment, I look at the potential risks. Even with a high expected return a high risk investment with may not be worth my time and money. A lot of high return scams are making rounds targeting the desperate individuals. If an "investment" sounds too good to be true, chances are, it is too good to be true. My sister once told me of an investment scheme by the name "defencex". I never needed to even check how legitimate tis investment was. My sister gave me the figures which added up to 60% of interest in one month. This was obviously one of a kind. I advised my sister to run as fast as she could from it. Then more similar scams appeared. An "investment" that promises returns that high raises a red flag immediately. An investment that is too volatile in terms of its performance trend is also high risk. Looking at what is likely to happen reduces ones fear of taking risks. The best lesson I learnt earlier on in life is having every area of my life diversified. This is from my career, relationships and finances. I really have haphazard qualifications that are not related to each other. Before we even look at my my curious nature, I easily get bored with routine. Similarly, my friends are far from being replicas of each other. I practice the same in my finances. I have tried to have diversified sources of income. I find it very dangerous to rely on only one source of income. A low rental month is boosted by the dividend here and and some interest there. The goal is to manage the risk which is in your control in order to reduce the impact of the market risk which is not in your control. Even in my stock portfolio, I try to be well diversified in different sectors. When things go sour in the financial sector, I might be doing well in the telecoms. Diversify your life to avoid the crippling fear of taking risks.